The holidays are a time to get together with friends and family members, and you know what that means… Parties! I am always a huge fan of throwing a themed party for any occasion and the holidays give me an excuse to get out all of my glitter and decorations and other holiday hostess must-haves to celebrate. My bar cart is one of my absolute favorite pieces in my apartment, and I’m known to change the decor for every event or birthday. 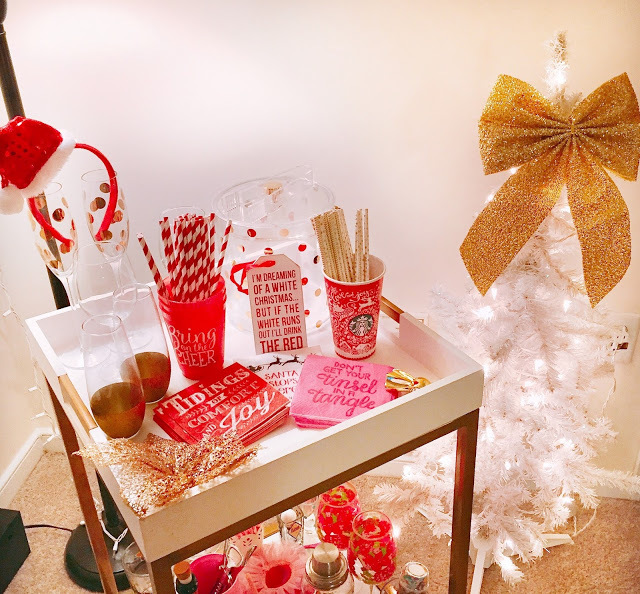 Christmas is no exception with red, white, and gold adorning my shiny bar cart. I love getting cute cocktail napkins, straws, and cups for different parties. I absolutely love the napkins and towels you picked! The napkins are so sweet! Such fun! Such a cute idea! Your cocktail cart is amazing by the way. Love all your picks for hostess gifts! Oh my gosh your bar cart! Too Cute! I am constantly telling my BF that in the future, we are going to have the best bar cart around – but now I'm thinking I may never beat yours! It's absolutely fabulous, and you have so many cute and festive decorations. I love the different napkins you included in your gift guide – especially the "naughty and nice" ones! This is such a fun post! Awe, thank you so much !! I absolutely love all this products! Such a great idea! Such adorable items! All of these are perfect for hosting a party! These are all so necessary! I love everything you picked out! I need a bar cart so badly! I love the napkins! Super cute! These are great and I need them! I also have glasses with the gold bottoms like you! I love them! 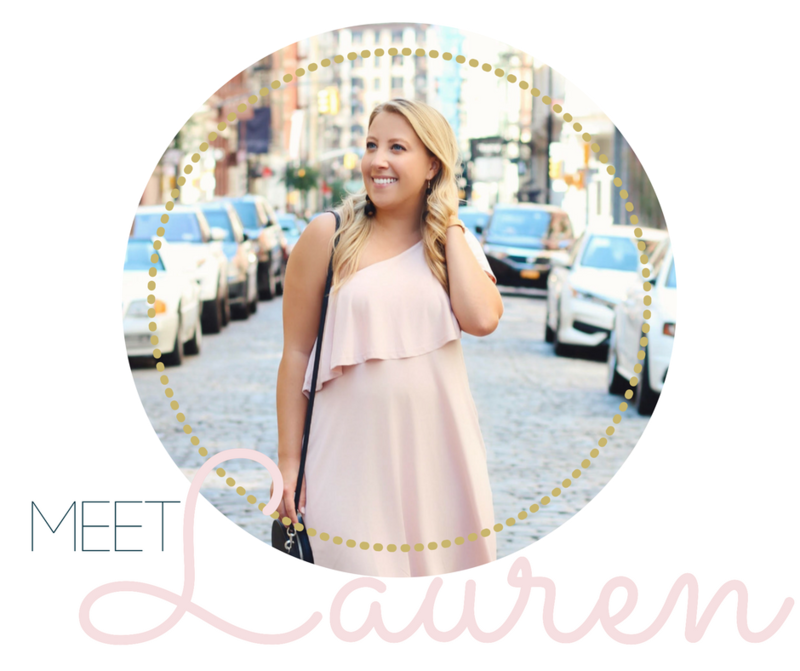 And I agree with your must-haves here! Whenever I host a party I try to make sure the lighting is perfect! I usually hang christmas lights to get that perfect glow!